Under ‘Book Contents,’ click ‘Media’ under the Options side panel. Then click on ‘+Add Media’. 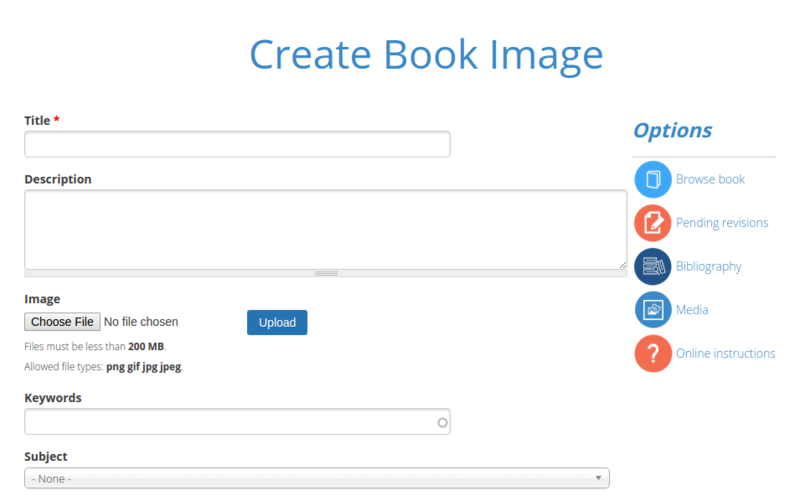 The ‘Create Book Image’ page will appear. Enter a title; add a brief description and any relevant keywords for your image; providing the chapter information is optional but important for future searches. To upload an image from your computer, click ‘Browse” then ‘Upload.’ A small preview of selected image will appear. Once all the fields have been filled in, click ‘Save’ at the bottom of the page. To view the image before saving, click ‘Preview’ at the bottom of the page. 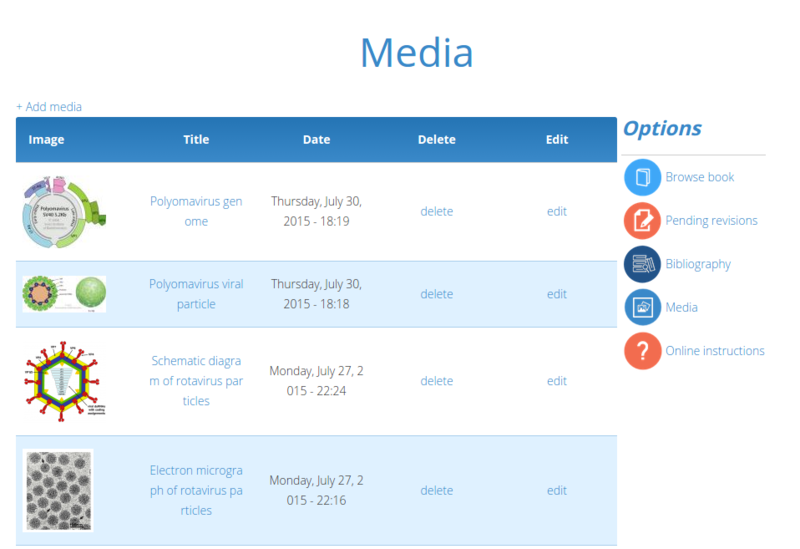 Image Requirements: Upload your figures and images as jpeg, jpg, or tif files in high resolution (minimum 300 dpi). Image must be no larger than 200 MB. See Section G: ‘Editing a Chapter’ for instructions on embedding an image into a specific area in a chapter entry.